Your Dog Will Be Bacon for More of These Mouth-Watering Maple Bacon Bites! Bake a better bacon bite with this Maple Bacon Bite recipe! 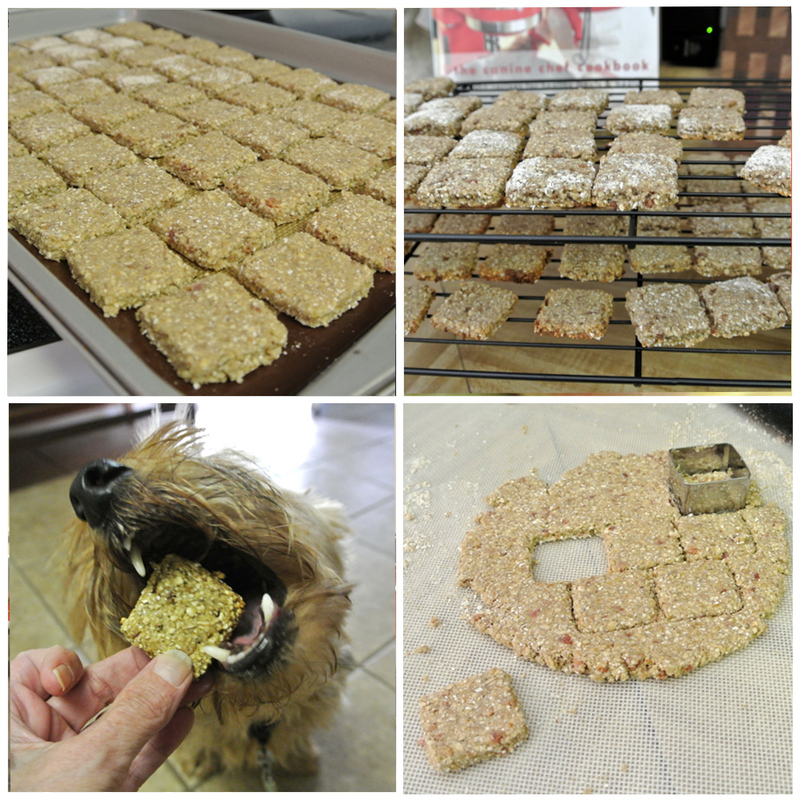 This treat makes a great snack or reward during training. Thoroughly combine all ingredients in a large bowl. Place in refrigerator for 20 minutes to chill. Roll out ¼-inch thick on floured mat and cut out shapes. Place on lined baking sheets. Bake at 350 degrees for 20 minutes or until bottoms are a light golden brown. Remove to baker’s rack to cool. These will keep in the refrigerator for up to two weeks and in the freezer for three months.